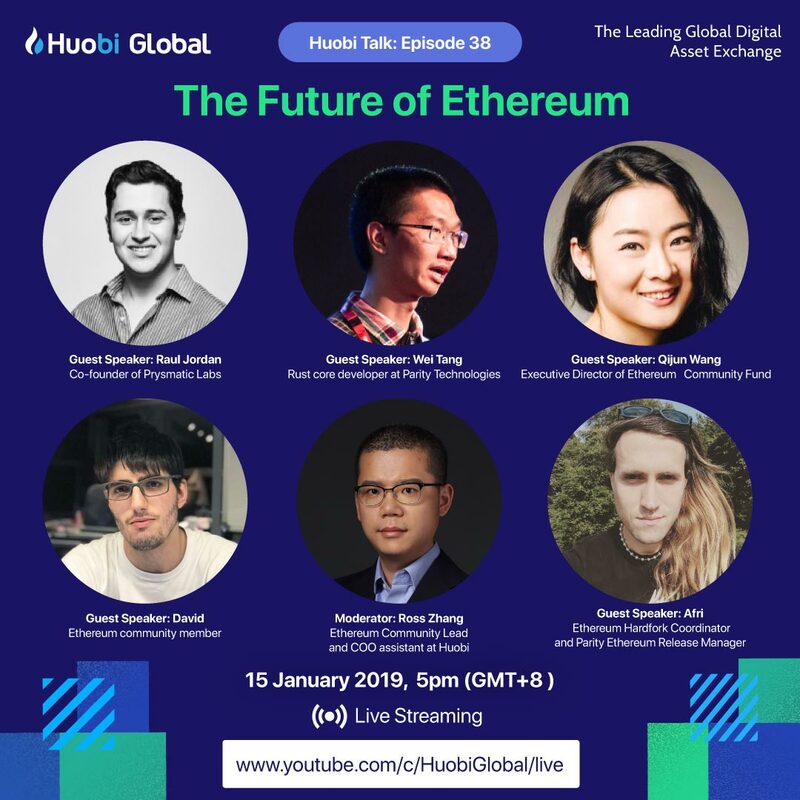 Huobi Global is proud to host this upcoming livestream and AMA where our esteemed speakers will be talking about the upcoming Constantinople hard fork, how it will affect the Ethereum ecosystem, and the industry in general. Our speakers are notable contributors in the space, and look forward to bringing you valuable insight on Ethereum. Ask them anything, and they'll be glad to answer live on air and also in this thread! Ethereum Community Lead and Assistant to the COO at Huobi Group. Co-founder of Prysmatic Labs. Raul studied computer science at Harvard University and is a Thiel Fellow now working on layer 1 scalability for the protocol. Rust core developer at Parity Technologies, working on Ethereum and Ethereum 2.0 development. Author of SputnikVM and Rux microkernel. Executive Director of Ethereum Community Fund. Ethereum community member and member of Omisego and Bitfish.